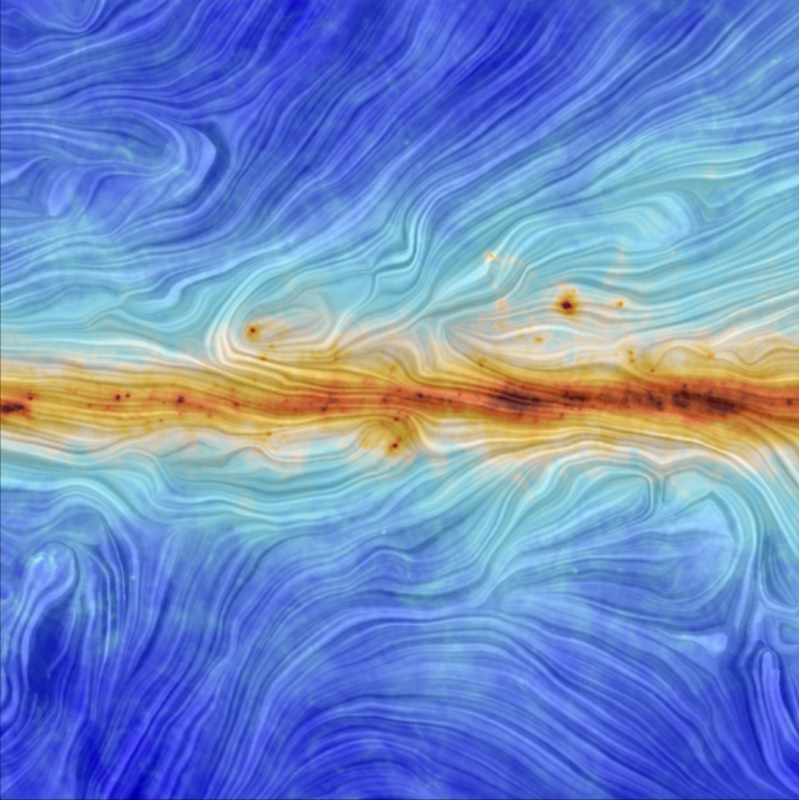 In particular, the arrangement of the magnetic field is more uniform along the spiralling structure of the Milky Way. The small clouds demonstrate the magnetic field structure becoming less regular. Observations like these have led us to believe that filamentary interstellar clouds are coordinated with the direction of the magnetic field, showing the importance of magnetism in galaxy evolution. Launched on 14 May 2009, Planck’s mission was to examine the ancient radiation released shortly after the Universe was formed, known as the cosmic microwave background radiation. Scientists are able to study all the way back to the time of the Big Bang itself 13.7 billion years ago years ago using this data. The mission was switched off 23 October 2013 following the scheduled exhaustion of its helium coolant and placed in a distant long-term stable parking orbit around the Sun. The UK played a major role in the Planck mission. A number of UK institutes and companies form part of the consortium that built the two focal plane instruments, HFI and LFI. The Jodrell Bank Observatory at The University of Manchester produced critical elements of the LFI receiver modules and is now a key contributor to the LFI data processing activities. Cardiff University, STFC RAL and SEA were involved with hardware development for HFI, while various UK research groups including Imperial College London and University of Cambridge form the London Planck Analysis Centre and Cambridge Planck Analysis Centre respectively. These groups are involved with data analysis and simulation for the HFI data analysis and simulation software.